Today is the first advance voting day (out of 4, until the 14th) and I will be voting soon. 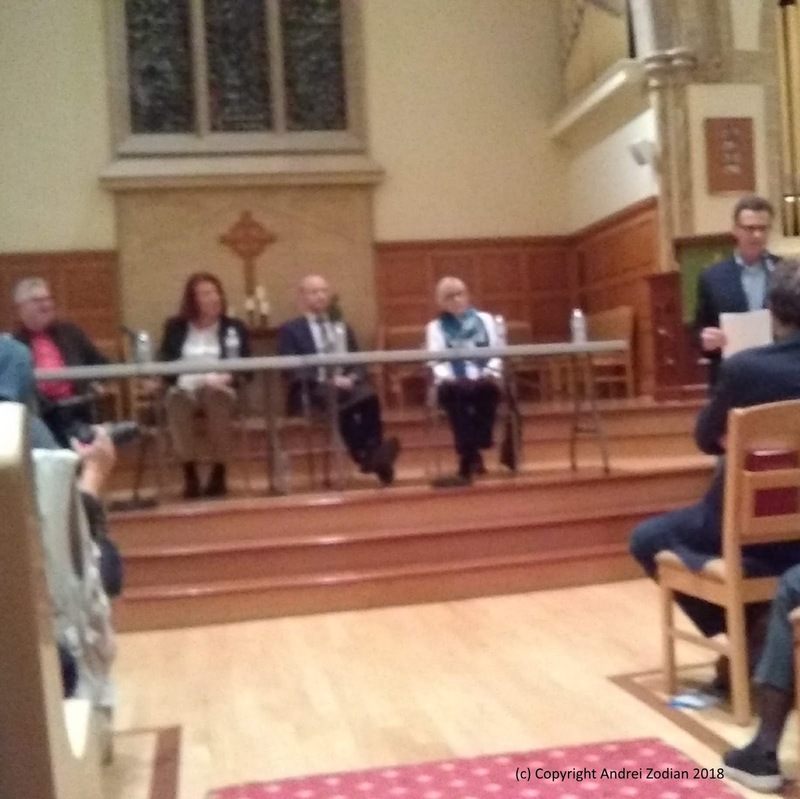 I hurry to post at least some debate notes on last night's all candidate debate for Ward 10 and will compare it with the other debate I attended, for Ward 11. The first difference one notices – and it’s quite striking – is the sheer number of candidates. 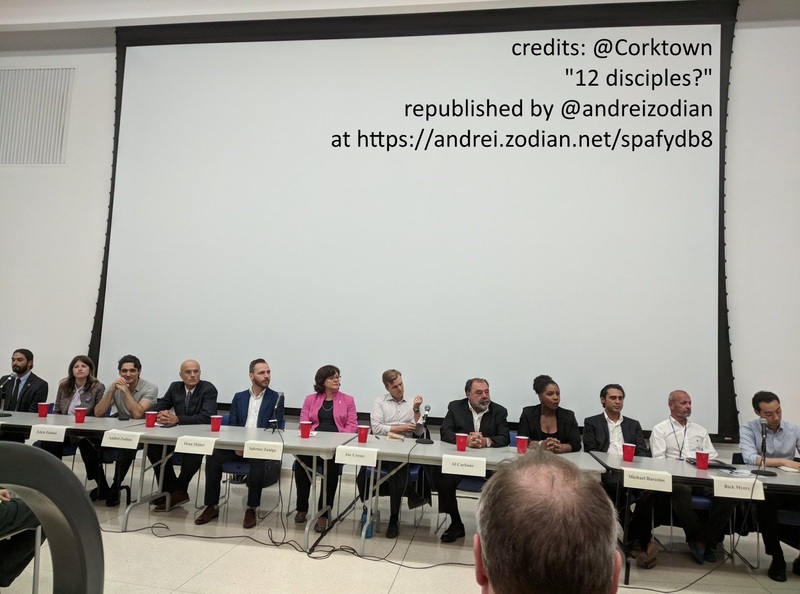 Whereas the Ward 11 debate had only four candidates, the Ward 10 (October 9) all candidates debate featured almost all – 12, to be precise. I’m in convalescence and have some health issues that I hope to overcome soon and was hoping to perform as if I’m still myself, yet looking at the photo (where I’m slouching) and judging by some reactions, I was quite far from it. We started with a 2 minute intro, followed by questions timed to 1 minute. top 3 issues / biggest issue over the next 10 years? We then ended with a 2 minute outro. I felt like I was always cut short, but I guess it’s just a feeling. I felt there was little to no time to delve into policies and platform so I resorted instead to one important point – direct democracy – which is what I hoped attendees would remember. That may have backfired, as most people did not really know what I’m talking about, there had been no time to explain it and, while mingling at the end, some were surprised to learn that it’s been done in Switzerland for a while. The organizer has emailed us a Word document (I really don’t like that, given how likely infection with macro malware is) and I posted it below under yqna-moreQs. @AndrewMassey, @AprilEngelberg, @EdrisZalmai, @andreizodian, @deanmaher20 @SabrinaZunigaTO, @joe_cressy, @AlCarboneWard10, @karlenenation, @MichaelBarcelos, @rickmyers and @KevinVuongTO. I will finish this article shortly. In the meantime, if you would like to see more details on my platform, please see my answers to previous questionnaires.